Farmland investing is a phenomenon which has created a lot of controversy and debate. Critics argue that it is a form of colonialism and a land-grab designed to benefit foreign owner’s needs for produce, leaving the indigenous peoples poorer and draining vital resources. Deals, say the critics, are done with governments that do not represent the interests of their people, with local residents bullied off their land. Much of the controversy has come through the involvement of sovereign wealth funds, whereas pension funds have avoided these criticisms. Those in favour of farmland investing argue that, done correctly, it brings improved resource and land management, improved farming techniques and technology, education and much needed foreign direct investment (FDI) and cash. Many argue that, where foreign investors and local people have a stake in an investment any benefits for the local economy are going to be larger, more sustained and established quicker than foreign aid. It is inevitable, however, that the worst examples have come under the spotlight. These have involved governments of often undemocratic nations buying or leasing vast areas of land only to grow food using their own labour and export it back to their own countries, without much consideration of the impact on the local people or environment. So should institutional investors invest in this asset class at all? What guarantees do they have that it is done in accordance with their responsible investment principles? What about other issues such as land expropriation, coups or war? The case for farmland is becoming popular as pension fund returns come under pressure from falling returns and slow economic growth. Real assets work as inflation hedges, as in the case of gold and agriculture or food. In the case of agricultural commodities, the prices are driven by issues such as declining global food inventories, rapidly increasing population, the restricted supply of arable land, as well as demand for biofuels. In addition, as countries grow richer their dietary requirements change, with demand for meat increasing. Furthermore, in regions such as sub-Saharan Africa and Eastern Europe, cheap prime farmland yields world-class returns. At the same time investment returns are not strictly linked to land prices, but to the produce (ie, cashflow) and in the case of private equity funds, the exit strategy as well. Headline numbers of 15-25% annual returns is also something any pension fund would want to explore. These characteristics have caught the interest of Dutch and Nordic funds. Warburton says farmland is an asset class that provides new opportunities and new risks. Despite the liquidity and scale issues, as evident in Eastern Europe, he has no doubt that the standards will improve and it will become a serious asset class for the institutional market. Jos Lemmens, senior portfolio manager in the commodities team at APG Asset Management, which manages the assets of Dutch pension fund ABP, says: “For investors with a long-term horizon it is clear that only sustainable investments will yield the highest long-term results. When investing in farmland, it makes no sense to exhaust and deplete the land with unsustainable practices geared towards short-term gains. It is in the investor’s interest to upgrade the land and use sustainable practices. Paul Christie, head of marketing at Emergent Asset Management, a specialist in alternative assets, says that it is vital to recognise all stakeholders, not just investors. Investment philosophy must be adapted so that objectives are achieved for all the groups involved, be they governmental, private or others. “Informed consent is the key in farmland investing,” he says. Other Dutch investors are following suit, as are the AP funds in Sweden and Danish funds. 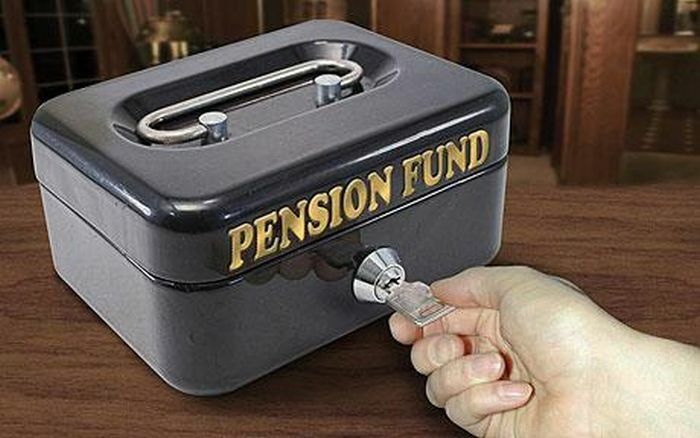 In addition, government development finance companies such as FinnFund in Finland, as well as those in Nordic countries, Germany and Switzerland, are teaming up with pension funds and specialist asset managers to invest in the sector. The reputational risk of being caught up in any, even seemingly, unethical business would be enormous. Christie has been involved in creating a Voluntary Standards Board with the World Bank. “It is possible for investors to make money but at the same time support the local farmers and self-regulation is the best way,” he comments. The Food & Agricultural Organization of the UN (FAO) is currently working on guidelines for the farmland investment sector. The guidelines cover the full range of land governance issues – not just large-scale agricultural investments but all land. The guidelines are being developed in an open partnership, with core documentation, expert meetings and a substantial series of regional consultations. The purpose of the consultations is to reach consensus on key issues and, following their completion in September, there will be a period of drafting and e-consultation. The guidelines are expected to be completed in 2011 and implemented from 2012. In addition to voluntary standards and FAO guidelines, the World Bank’s Multilateral Investment Guarantee Agency (MIGA) also supports and guarantees agri-business on a case-by-case basis. Vaughan-Smith says that it is an extra layer of safety for investors against expropriation and other risks and the advantage of being backed by a supranational is that they provide support and mediation in any case of conflict. SilverStreet focuses on large-scale commercial farming and technical support for small-scale farmers – its Luxembourg-registered $300m (€244m) fund aims for a 15-20% annual return. The fund is a private equity structure with an exit strategy possibly through an IPO.